Jawbone became well known for their bluetooth headsets with noise shield and advanced military grade noise cancellation technology. Their new creation the Jawbone Up is one of the coolest consumer products of 2011. The Up is a comfortable rubberized bracelet that currently comes in 4 colors. You wear it 24 hours a day and it tracks how active you are, your sleep patterns, even meals you eat. Up is also very easy to use. 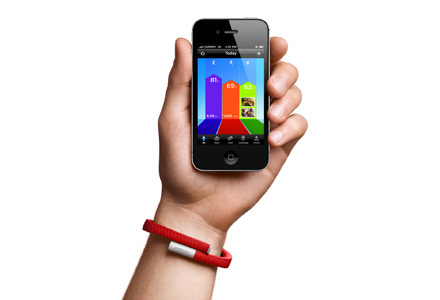 Just charge it, download the app from itunes, sync it up, and wear it. There are even fun ways to compete with friends. Its available for purchase through Amazon.com where you can find it for the lowest price we have seen. 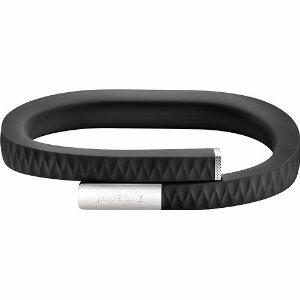 If you decide to buy the Jawbone Up or own it already please leave a review in the comments section.